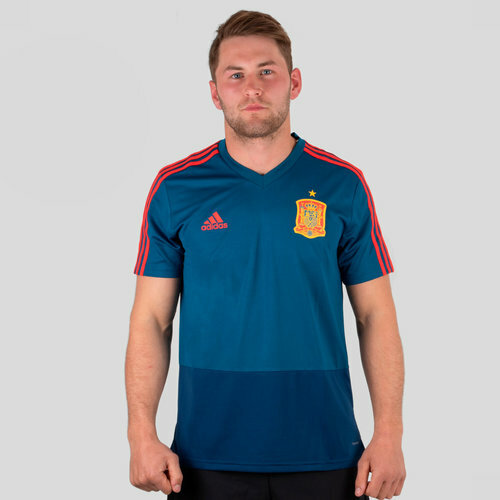 Train to the very highest standard just like some of the finest football players in the world when you pull on and hone your skills with the adidas Spain 2018 S/S Football Training Shirt in Tribal Blue and Red. 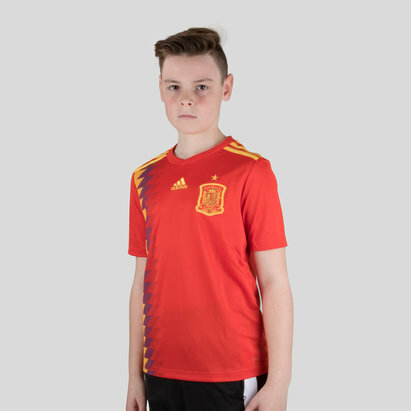 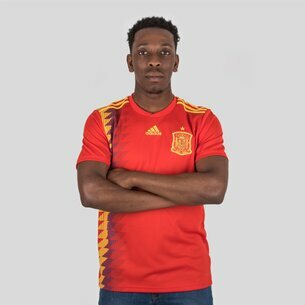 Designed to get the best out of athletes during intense training sessions, this Spain shirt utilises a slim fitting 100% polyester fabric which is both quick drying and breathable which makes it a must have for the aspiring athletes. 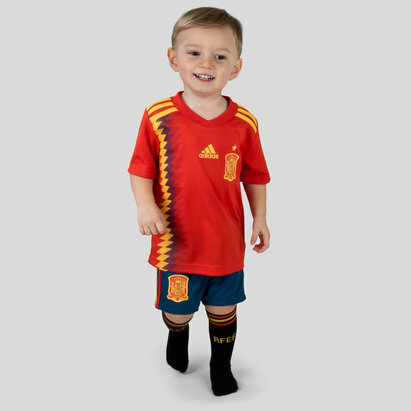 Be ready for greatness, in preparation for next years World Cup when you introduce this into your training range.